Steve Rice (Olympia, United States) on 18 April 2017 in Plant & Nature. Lovely flowers. They grow a lot in Finland courtyards. Always such a lovely display . .
Une belle photo de ces rhodos! Beautiful colors you've captured in this floral image. Gorgeous light and color. Ours never quite bloom well. Wonderful capture of beautiful shakunage blossoms. Stunning spring image. Beautiful capture of the flowers . The beautiful Rhododendrons make an excellent picture. I love the color and close-up detail. 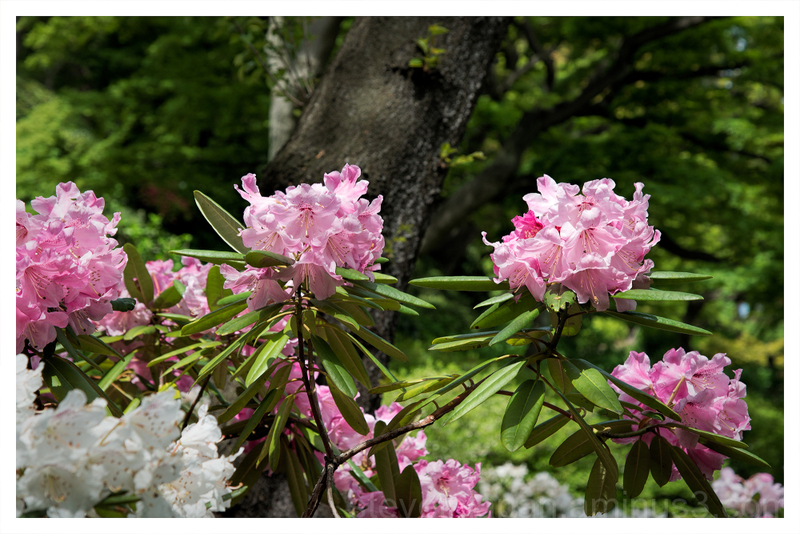 Rhododendrons always make a beautiful display with their curly petals and long anthers! Excellent capture of color in the warm sunlight! Stunning and beautiful flowers. Superb image. Lovely flowers. So nice colors. These are just beautiful! Gorgeous color! I am looking forward to my rhododendrons blooming soon. You really do take these images very well. They are superb. Beautiful shot of the garden! Very nice blend of pink and white!